Not all the horror elements are scripted but the better frights are the ones that have been prepared. Some will immediately send you fleeing in the other direction while others will just have you pause to collect your thoughts and arrest your beating heart. In the storage I was seeking out some chemicals for a concoction only to be struck in the darkness without a light source near and no oil to burn. As I walked up the dimly lit stairs I saw a shadowy figure come toward me, it was then I knew he had spotted me. Instantly I ran past him and continued to the nearest door exit. Hearing this beast lumbering behind me ready to strike I turned at the last second before reaching the door only to have my face sliced open. Indeed some of the frights prepared are a natural evolution of those in Penumbra, Frictional know how to create a sense of dread and the timing is crucial. Of course most of the game isn’t about being chased down some gloomy hall as it still revolves around collecting objects and piecing them together in order to move onto the next area. The varied puzzles return although there do appear to be less physical based puzzles from those seen in Penumbra Requiem where you would move boxes or counter-weights. This time it’s more about levers, chemicals, and finding objects then using them in the right order or following some basic instructions. The opening segments are much more straightforward, and in some ways fairly linear with heavy clues and only basic navigation required. This is good to not only get the player into the groove of the puzzles but also introduce new players to the type of game they are about to experience. As long as the rooms are searched thoroughly you won’t need to retrace your steps and doing so will use up your precious oil for that lantern. As you get further into the game the puzzles require a bit more thought, tracking down objects in different locations and reading notes is just the basics. You’ll need to combine items and think about the problem and how you could possibly solve it with the tools at hand. More quality is shown in Amnesia through other areas such as player control and puzzle sequence. Carefully placed scares and clues are most obvious but also things like the placement of enemies who disappear when out of range. A good balance of tinder boxes and oil spread throughout and the positions of most puzzle objects are good. The story unfolds through diaries, notes and flashbacks. The flash backs are voiced fairly well with Alexander being the most impressive and Daniel competent if not overly dramatic. The story follows similar paths to that was seen in Penumbra but is interesting enough in its own right with optional alternative endings after a slightly lacklustre finale. Amnesia is a continuing step in the right direction with better pacing and a better overall presentation quality. The oppressive nature of the levels can be a little overbearing at times but it just enforces how well crafted the horror experience is. Ultimately a great pick up for horror fans and adventure gamers will enjoy it unless they are afraid of the dark. Improved graphics with more detailed environments than seen in Penumbra. Oppressive levels marred by some overused scare sounds early with satisfactory voices and good sounds. Consisting of Light, puzzles and stealth Amnesia revolves around the great puzzle designs that are logical and enjoyable to solve. Varied puzzles will keep things fresh but not many physics puzzles. Moving objects in a circular motion can sometimes be a little difficult, game performance is adequate and only crashed once. Amnesia is one of the better horror experiences in years with some great puzzles. 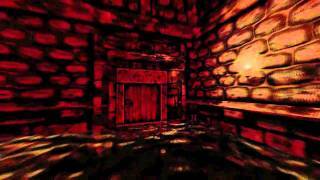 Simple ideas executed well with a refinement of the gameplay seen in the Penumbra games. 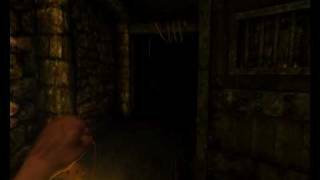 There is no finer horror experience than playing Amnesia in the dark.